Congratulations to the Class of 2018 – YWCP’s first graduating class! On Saturday, June 23rd, 49 seniors crossed the stage at the Nazareth College Arts Center in YWCP’s first ever Commencement Ceremony. 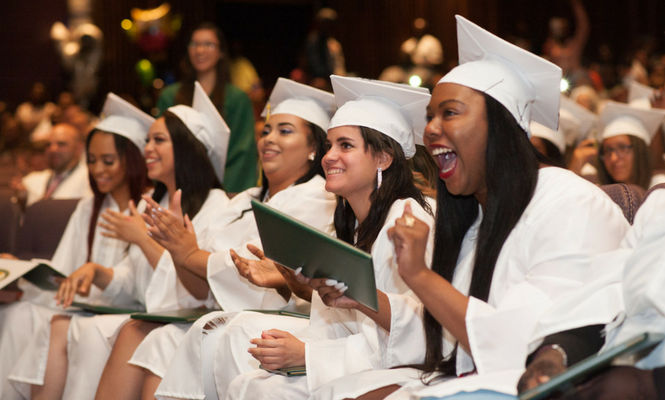 Hundreds of parents, family members, Board members, staff members, former teachers and administrators, and other supporters watched with bittersweet tears as the members of the Class of 2018 were handed their diplomas. For more amazing pics from the ceremony, visit our Facebook page.